The Barreng Moorop program is a partnership between the Victorian Aboriginal Child Care Agency (VACCA), the Victorian Aboriginal Legal Service (VALS) and Jesuit Social Services (JSS). The program provides an integrated, intensive support service to Aboriginal children, 10-14 years of age who have current or past involvement with police or likelihood of future involvement due to family involvement with the justice system. The caseworker position provides casework support to address the issues underlying the young person’s offending behaviour, or young person’s family’s offending behaviour. These issues may include (but are not limited to); family dysfunction, mental health issues, transgenerational trauma, attachment difficulties, intellectual disabilities, experiences of violence and abuse, poverty, disengagement with the education system and lack of social and community connection. The caseworker will support the young person and their family to access relevant welfare, housing, family and education services through supported referral, advocacy, negotiation and co-ordination of services to provide “wrap around” support to the young person and their family. An understanding of the theories relating to complex trauma as a consequence of abuse and neglect, of the issues involved in trans-generational trauma and the ability to translate these into practice in Aboriginal organisation. An understanding as to why Aboriginal children and young people are over-represented across Youth Justice and Child Protection and an understanding of these systems. Knowledge and demonstrated experience in appropriate interventions/skills required to support young people (and their families) who have disengaged from education and a clear understanding of the requirements/elements of intensive support, crisis intervention and assertive outreach. Demonstrated experience in the delivery of structured case management support to young people and their families with complex needs. A demonstrated capacity to identify culturally responsive and appropriate referral pathways and a sound knowledge and understanding of Aboriginal, non-Aboriginal and specialist services available across relevant domains. The Victorian Aboriginal Child Care Agency (VACCA) operates within the context that Aboriginal children continue to be significantly overrepresented in the protection and care system within Victoria. VACCA considers that it has the responsibility and the opportunity to promote, advocate for and achieve positive changes in the lives of Aboriginal children, their families and the broader Aboriginal community. 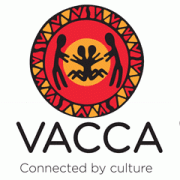 VACCA's objectives include the preservation, strengthening and protection of the cultural and spiritual identity of Aboriginal children and to provide culturally appropriate and quality services which are responsive to the needs of the Aboriginal community. Please quote in application: Caseworker - Barreng Moorop via Pro Bono Australia.